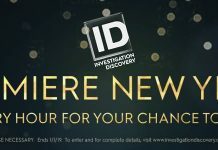 The Investigation Discovery 2019 Giveaway is your chance to win cash to kick start the New Year. On January 1st, tune in to Investigation Discovery’s Premiere New Year 2019 and look for the hourly Investigation Discovery Giveaway Codes. One lucky viewer will win $2,019 cash every hour between 4pm EST and 11pm EST. Up to 9 grand prize winners. Over $18,000 in prizes. What Is The Investigation Discovery 2019 Giveaway? The Investigation Discovery 2019 Giveaway is a Cash Sweepstakes sponsored by Discovery Communications. The Giveaway is open only to legal residents of the 50 United States and the District of Columbia and who have reached the age of majority in their state of residence and are at least 18 years of age or older at time of entry. The Entry Period begins at 4:00 p.m. ET on January 1, 2019 and ends at 11:59 p.m. ET on January 1, 2019. There is a limit of one entry per Code per person/email address. Once you saw the Investigation Discovery Giveaway Code on TV, visit www.investigationdiscovery.com/giveaway, enter a correct code as seen on ID, and complete the entry form. Then, submit as directed to receive one entry into the Sweepstakes. I love ID!! I mean I HATE that these things really happen, but it’s been really educational for me to watch these programs. I really enjoy Joe Kenda!!! All the programs are interesting, I watch them every chance I get. At least, 2-3 or more a day. Trying to play, need to know where to put code.